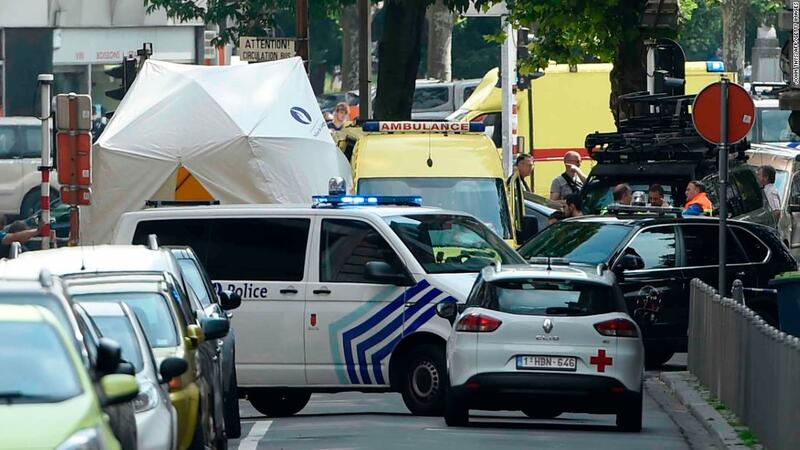 The attacker has since been "neutralized," a spokesman for the Procuratorate of Liège told CNN. Shooting took place on Tuesday around 10:30 am (4:30 pm ET). It is not yet clear what the motive of the attacker might have been, the spokesman added. 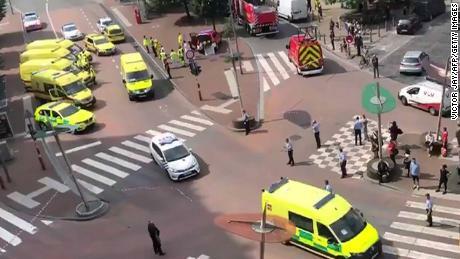 The Belgian Interior Minister Jan Jambon said on Twitter the country's crisis center oversee the situation. 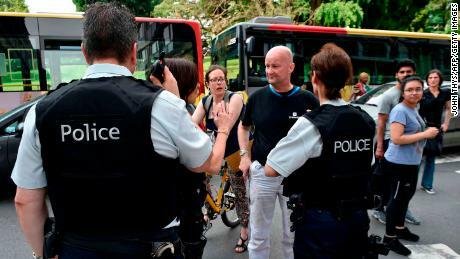 "Our thoughts are with the victims of this terrible act, we started a process to find out what exactly happened," Jambon wrote in a follow-up tweet. The incident occurred near a local high school. The crisis center said that the students were safe and that no one had been injured. Pierre Etienne Dit Pave, who teaches French courses nearby, told CNN that he had first been alerted to the attack by a "riot on the streets" have to investigate. "Once a policeman told me to go in. I went back to the classroom and locked the door for a while," he said. "We heard a lot of shots, we did not see anything because we were locked up in the room, we waited for the police to give us the clearing." The Belgian Royal Palace tweeted his sympathies after the filming. "Our thoughts are with the victims of this terrible act, courage to their loved ones," read the tweet. Liège authorities are expected to provide an update on the incident later Tuesday. Liege is Belgium's third largest city, after Brussels and Antwerp, according to the National Tourism Board. For centuries it has been an important cultural and industrial center of the country. In 2011 Liège was the scene of a grenade and firearm attack that left at least 5 dead and more than 100 injured. CNN's Gianluca Mezzofiore has contributed to this report.